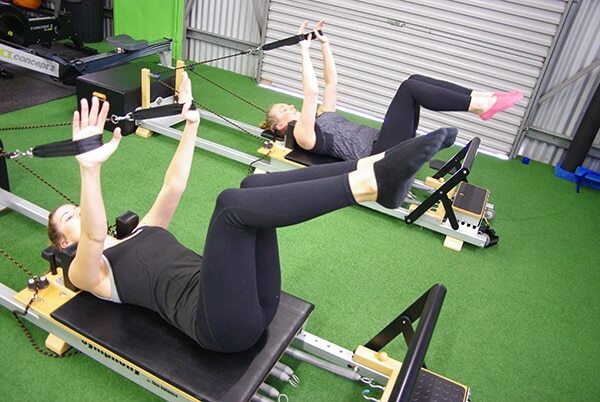 Clinical Pilates - Personal Trainer, Boot Camp and Exercise Physiology in Moonee Valley, VIC. Pilates has become increasingly popular for general exercise and fitness in the past few years. Clinical Pilates at MVFIT though, is so much more than simply Pilates exercises. At MVFIT, our Physiotherapists and Exercise Physiologists apply the Clinical Pilates principles first to assess, and then to create an individualized exercise program specific to your needs and goals. Your program will be individualized and will contain a combination of mat and reformer exercises that will be progressed by your therapist as needed. There are also Pilates classes available which will contain no more than 4 members so that you continue to receive adequate support from your instructor. Interested in joining our Clinical Pilates classes? Fill in your details below, or call the studio (03)9996-0790 to arrange for your initial consultation. Clinical Pilates: What is Clinical Pilates? Clinical pilates is a form of pilates focused on treating specific injury or areas of pain. Clinical pilates is often used in combination with other forms of physiotherapy and exercise physiology, and can provide additional benefits in the form of improved posture, balance and flexibility. By retraining your body’s core through targeted exercise, muscle pain and discomfort is alleviated. In Clinical Pilates you are assessed clinically and a personalised program is developed specifically for you. We teach reformer and mat based Pilates where we have taken exercises from the Pilates, Yoga and Core Stability. Clinical Pilates: The difference between your Clinical Pilates classes and the Pilates classes they run at other local gyms? In Clinical Pilates you are assessed clinically and a personalised program is developed for you. Your program will focus on correcting body imbalances and strengthen of any weak areas you may have. Clinical Pilates is targeted and specific, making sure the right muscles are being used for the right movement pattern (rather than compensating with other muscle groups). Another difference is the extent of knowledge and training that a Clinical Pilates trainer has. This allows them to clinically assess a person, adjust, modify and choose exercises and to tailor a program to the individual. Groups are kept small (max 4 participants) and each person participating in a Clinical Pilates class will work on their own personalised program. Regular Pilates is a generalised exercise class focused on improving fitness and does not take in to account an individual’s injuries, history, pathologies and specific physiological needs. An instructor for Regular Pilates will lead a exercise program to a group where all participants do the same movements. Clinical Pilates: What is a Pilates Reformer? A reformer is a machine used in one on one assessments and classes that facilitates greater intensity and is more dynamic than matwork classes. The carriage of the reformer is loaded by 5 tensioned springs that attach to the carriage of the frame. When the carriage slides, horizontal resistance is then created. A number of ropes and pulleys can also be attached to the carriage. These can be used to create additional resistance, or alleviate it (as required). Exercise on a reformer builds on the existing movements of matwork and offers more variety. Exercises can be performed in a number of positions including: lying on your back or stomach, sitting, standing, kneeling, pushing a foot bar, perched on shoulder pads, feet in straps and hands in straps. The reformers enable easy progressions for many exercises in your program, which will further challenge your core. Clinical Pilates: What happens in your one on one initial consultation? The key to an effective program is having a practitioner with additional qualifications in Pilates assess your body in a comprehensive way. This is a one on one appointment which includes a thorough history and physical examination and tests to assist in the development of a safe and effective program. 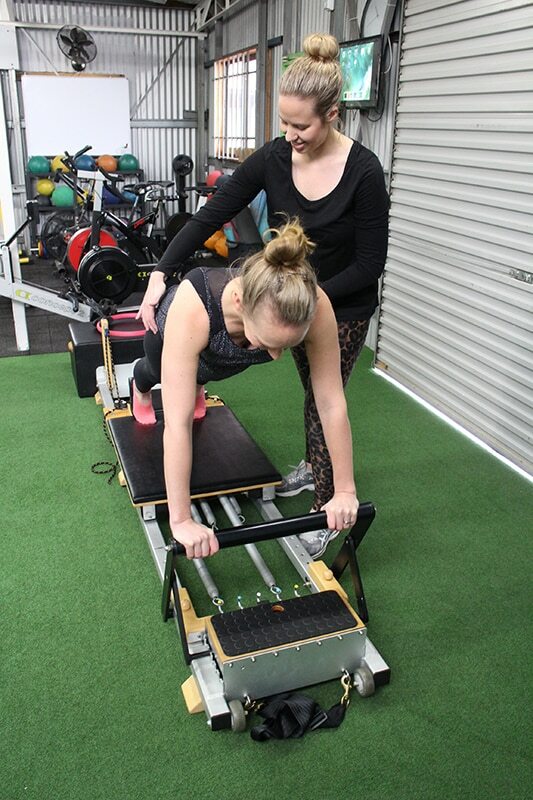 After your initial screening and with a few focus areas identified, getting comfortable on the reformer and setting up with your 5 key elements is essential to start with. Generally we will target the lower back, pelvis, lower limb and upper limb muscle groups in order to get the whole body moving. The second part of the initial session will generally be focused on your own individual variances and creating your clinical pilates program. You are now ready to move in to a small group class of maximum 4 participants, or you can remain seeing your instructor with 1 on 1 appointments. Clinical Pilates: What happens in the Clinical Pilates Classes? Your small group class (max of 4 people) will ensure that you get all the attention that you need to achieve your goals. Running for 45 minutes, you will work on your unique program that was designed for you to achieve your goals. You are now ready to attend regular weekly clinical pilates classes. All classes are pre-booked and pre-paid. Bookings can be made 24/7 online or through our app for your phone. The first step is to book your individual assessment session with one of our Pilates-trained allied health professionals. Clinical Pilates: Who will benefit from Clinical Pilates classes? Anyone who is recovering from an injury, or has an ongoing injury, especially around the neck, spine or lower back/hips/pelvis region would benefit from a targeted clinical pilates program. Chronic joint pain, including shoulder, hips, and knees. Clinical Pilates: What are the costs involved? Can I claim on private health insurance? Yes, you can most definitely claim on your private health insurance. Please contact your private health insurer to check whether you are covered for Physiotherapy and Exercise Physiology. The item code for a group class is 560 or 502 and the initial assessment is code 500 or 102. Please contact your private health insurer to make sure you are covered. Generally, if you have ‘Extras Cover’, you should be covered. Clinical Pilates is a form of exercise that will improve strength, flexibility, coordination, stability and balance. Our sessions are tailored to you and your individual needs. 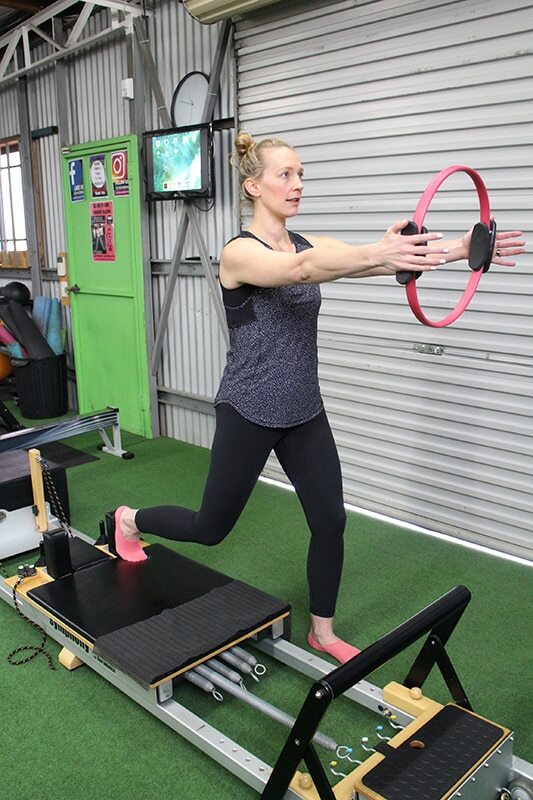 Clinical Pilates is a highly-individualised form of traditional Pilates lead by qualified exercise physiologists and physiotherapists who have completed formal Pilates training. This means you will complete a safe and effective program under their guidance. With a focus on rehabilitation and prevention, you will be prescribe specific Pilates exercises based on your detailed initial assessment. These tailored exercises target problem areas ensuring greater results and minimising the risk of injury re-aggravation. You will use a combination of specialised Pilates equipment including reformers complimented by floor-based exercises depending on your needs. This brings about better targeting and resistance as you progress in your Pilates program. We guarantee our members great workouts and great results!